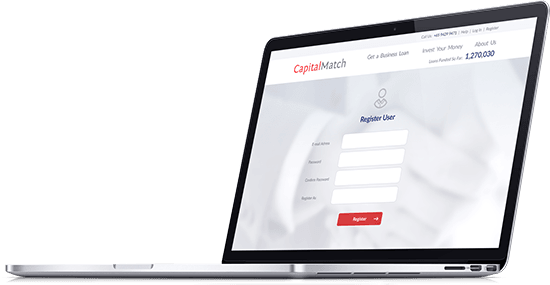 Anyone can apply for SME loans and invoice financing thanks to Capital Match's simple process, and comfortably from home. Capital Match's process is always clear, fair and comfortable. Applying with Capital Match does not affect your credit bureau score. Registration and loan application is always completely free. You do not need to keep making trips to your bank branch. After your application, we can tailor make a loan for you within 3 days. Loan applications by SMEs in Singapore are consistently high, but up to 90% of applications are rejected by banks in Singapore. The actual number of disbursed loans to SMEs is low. Small and medium businesses, or SMEs, have the same requirements and qualifications that would apply to large enterprises at the banks. The credit checks required at banks are similarly complex, but since the loan amount, and therefore the income of the banks, is significantly smaller than for large enterprises, banks will place less confidence in smaller entrepreneurs who are borrowers. Sell your invoice and get the capital earlier, without waiting for your invoice to be settled by the debtor. Invoice financing known as well as factoring gives you the easiest access to capital locked in the invoices. Settle your payment with us only when the invoice is paid or earlier if you want to reduce your interest. SMEs can finance their invoices through factoring or invoice discounting. Get in touch with us and share the invoices you want to finance, we will find the best offer for you. Increase your business liquidity with us. We are your ideal partner with our favourable terms, high flexibility, and transparent operations. Compared to a bank, our processes are optimised, and we can offer you favourable rates and allow our investors an attractive return. Take this advantage and make a free enquiry. Come apply for a business loan of up to S$300,000 and a term of up to 12 months with us! Loans and invoice financing for SMEs fuel the growth of businesses. 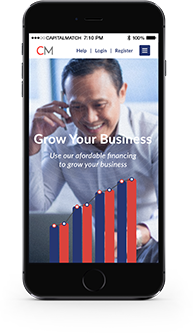 Use our business loan calculator to find out the best interest rate that Capital Match has to offer your business. Enter the desired loan amount, and select a loan tenure that suits your needs. With Capital Match, you can obtain flexible terms and find rates to rival that offered by banks. 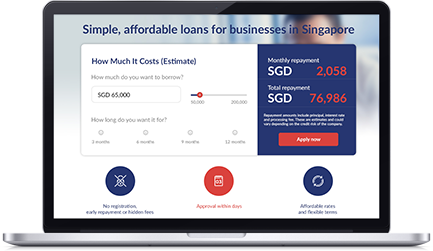 Capital Match’s business loan calculator gives you the best interest rates for business loans backed by Singaporean investors through crowdfunding. Get more nimble, attentive service with solutions that are actually created by the people who talk to you. Fund your business growth and profitability now.